We are proud to offer ‘Sugarloafer Since” items as our ongoing fundraiser for WMCFC. 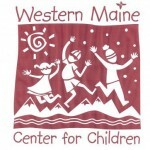 If you would like to purchase a customized item, please email us and we will send you a printable order form which can be returned by mail (westernmainekids@gmail.com). Thank you for supporting our programs! Proudly wear your Sugarloafer since year! Please note we are currently in the process of updating the information for the Sugarloafer Since customized fleecewear. Your patience is appreciated!